Our therapists are specially trained in the field of Pediatric Therapy. They incorporate play into therapy sessions within our Physical, Occupational and Speech Department. Our team approach and child-friendly environment help children reach age-appropriate and condition-appropriate goals. We want each child to reach their maximum potential. 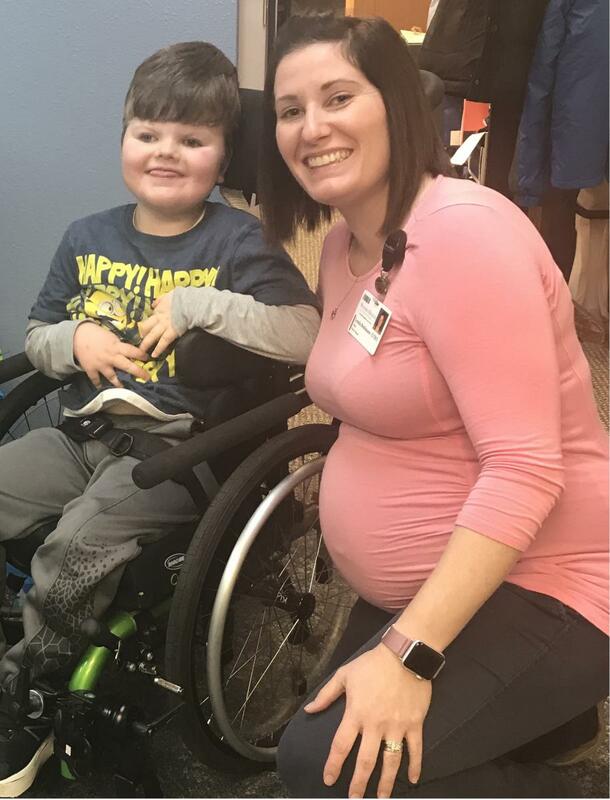 If you want to learn more about the pediatric therapy services offered at Taylor Physical Therapy, please fill out the form on this page. A member of our team will contact you soon. Verbal Speech Skills - learning to properly say sounds to be more easily understood by others. Increase independence in daily living skills such as feeding, dressing, and grooming. Advancing fine motor and eye/hand coordination skills. Improving sensory processing skills such as organization, self-regulations and behavioral state. Developing visual motor/visual perceptual skills including writing and coloring. Upper extremity strength and functioning. 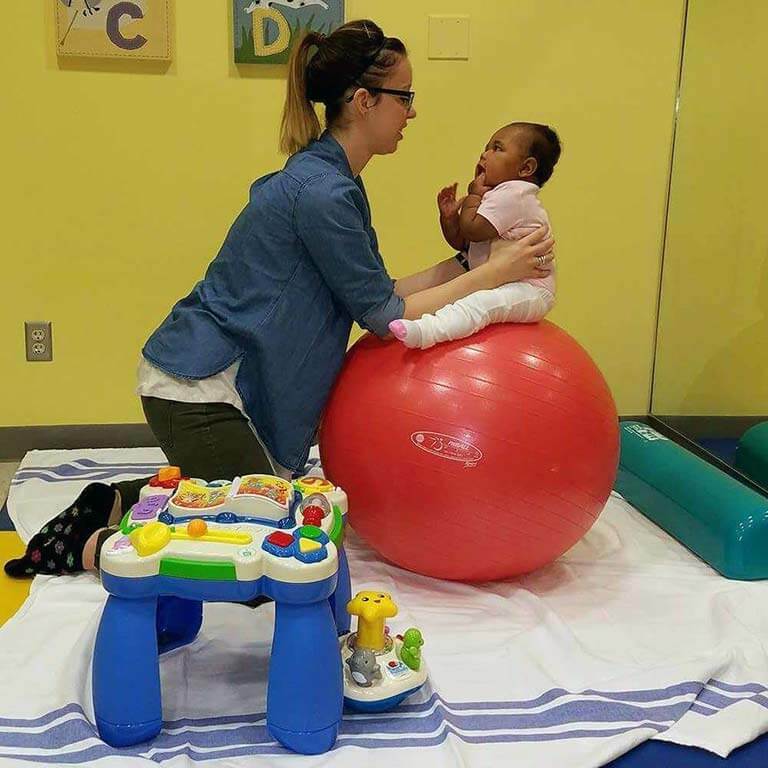 Developmental Skills: Rolling, Sitting Up, Standing, and Walking. Improving Balance, Coordination, and Motor Planning. Strengthening, Stretching, and Muscle Activation. Involve and educate family/caregivers to improve outcomes. 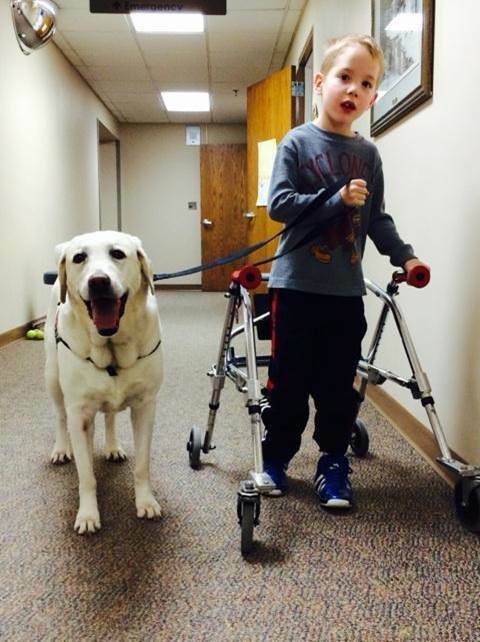 "Charm" is a service dog that acts as an extension of our pediatric therapy team. Animal Assisted Therapy can improve physical, social, emotional and cognitive function. Charm has a calming influence on patients who have cognitive impairments, but can also aid in helping improve gait and balance by serving as a moving walking aide. Scoliosis is a three-dimensional condition of the spine (backbone). The 3D deformity presents with a sideways curve, a twist, and a bend. These deformities cause the back to appear curved, like the letters "S or C", and twisted or arched. Scoliosis is most likely to occur when the spine is growing, in childhood or during the teenage years. A birth defect, disease, or injury can cause scoliosis, but in many cases, doctors do not know the cause. When a cause is unknown, it is termed "Idiopathic Scoliosis"
Each child’s success is strongly dependent upon parental involvement. Therapy does not stop when the child leaves the clinic, but must be carried through to the home environment. 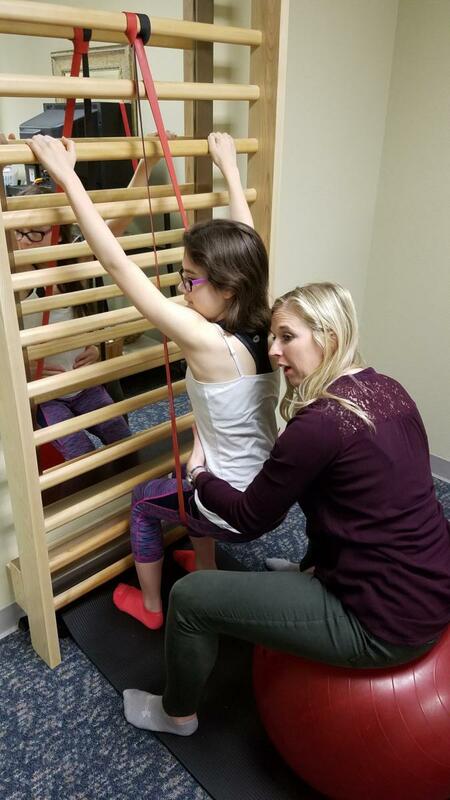 Whether it’s assisting in developing your child’s mobility or helping them recover from a surgery or illness, you can trust the team at Taylor Physical Therapy to provide the proper level of care. 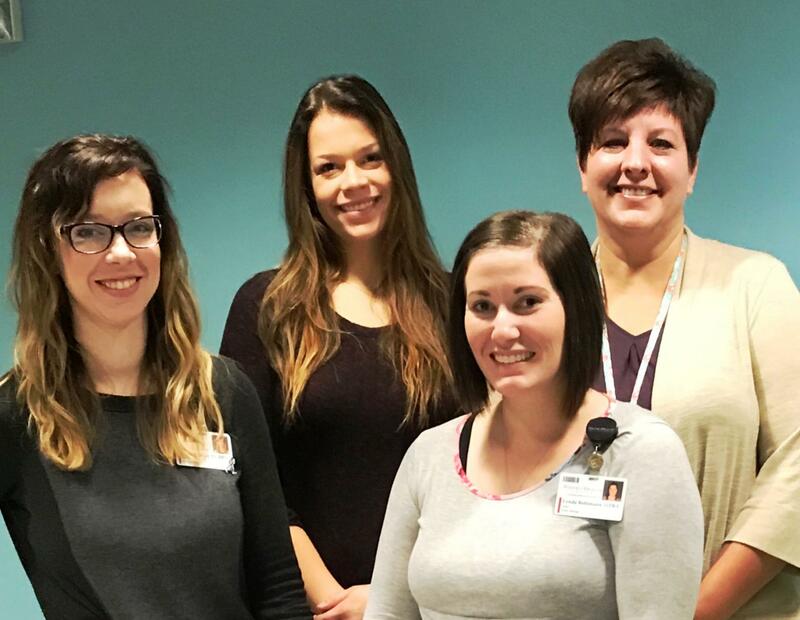 Pediatric Therapists specialize in working with parents and caregivers to ensure home programs are in place to make each child’s progress the best it can be.